In February 2013, André began to think about giving himself something back for nearly 25 years of commitment to his education. 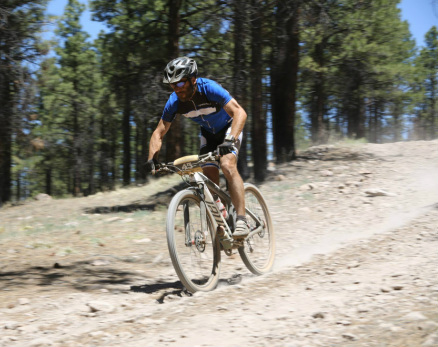 That something developed into a goal ... a goal to qualify for and then race in the epic Leadville Trail 100 (LT100) endurance mountain bike race held annually in Leadville, Colorado. 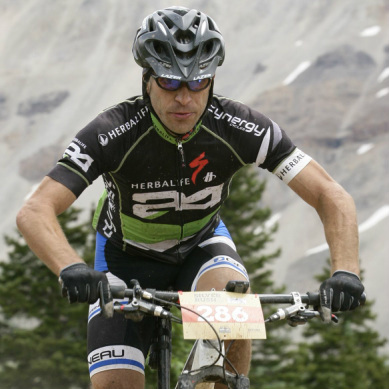 André's experience with a mountain bike started when he purchased his first mountain bike in January 2010. He rode this 32-pound tank until April 2013. The LT100 is a 50 mile out and back course that starts in historic downtown Leadville, at 10,000 feet above sea-level. 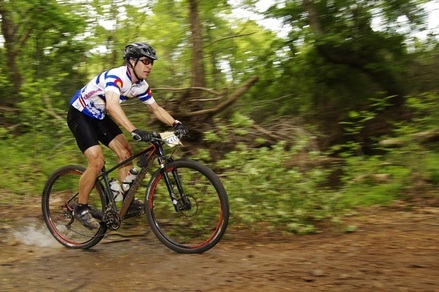 Along the 50 mile course, the rider experiences elevations between about 9,600 feet and 12,560 ft. The rider will climb over 12,000 feet before they reach the finish line, back in Leadville. Below are a list of some of the races that André experienced as he successfully qualified, trained for ... and then competed in ... the LT100. Please visit André Breton Racing for more details: www.andrebretonracing.com. Many thanks to the following businesses, friends and family for 2013 donations and crewing! The race that qualified André for the LT100! In this event, he raced for 7 hrs and 54 minutes ... and finished 25th overall (7th in his age class) out of about 400 riders. This was his best finish over the whole summer.